In this article find information about preserving apples. This article describes some information about dehydration of food and it's use on the trail as well as information about our Saturday public class. This article describes the basic essentials of home canning. This article provides information and resources using cranberries, fresh and dried, for easy holiday gift giving. This article highlights ways to make gifts from you home preserved foods. Learn tips on how to select, store, and enjoy tomatoes! This article describes basic fermentation principles. This article was published in the Tribune August 22, 2018 page 1C. Article explaining basic procedures of fermentation specific to sauerkraut, kimchi, and kombucha. Published in The Tribune 4/19/17. Article announcing upcoming public class featuring making and preserving condiments and chutneys. In this article, find information about how to freeze citrus juice for use in recipes year round. This article describes fermentation as a process for food preservation highlighting sauerkraut. This article describes the steps involved in checking all of your canning equipment for safety and usability. Published 3/10/17 in The Atascadero News and The Paso Robles Press. This article highlights ways to gift your home preserved foods. The winter holidays are upon us and many of us are thinking about putting that beautiful fall feast together for the Thanksgiving holiday, but be sure to practice food safety during each step of the prep! Information on optimal storage for maintaining flavor and freshness of apples. Enjoy this quick and easy read on how to store your eggs safely and properly. Article describing best storage practices for figs and home preservation ideas. Enjoy this quick and easy read on how to properly store strawberries. Enjoy this brief article on how to properly store tomatoes. 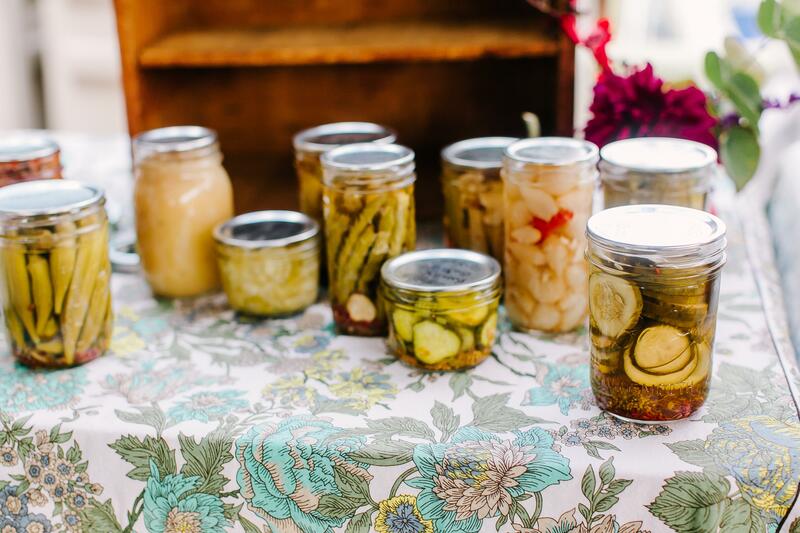 This article highlights information about the upcoming Introduction to Canning class. This article describes the basic method to make bone broth. This article provides information on various methods to preserve your citrus. Published in The Tribune 3/22/17. This article describes safe methods to preserve pie filling at home. Published in The Tribune 10/11/17. Article briefly describing equipment needed to can fish safely. Describes how to safely prepare and store food for Thanksgiving. Great information on using the end of the summer bounty! This article describes the basics of preserving food by canning and April class registration. Appeared in the Tribune April 10, 2019. Description of different methods to make jam and information about upcoming jam class in Santa Barbara County. Learn information on choosing the correct equipment for your canning needs. This article describes how tomatoes can be safely preserved at home. This article appeared in the March 20, 2019 edition of the Tribune. Describes basic information about making yogurt and cheese at home safely and class registration information.